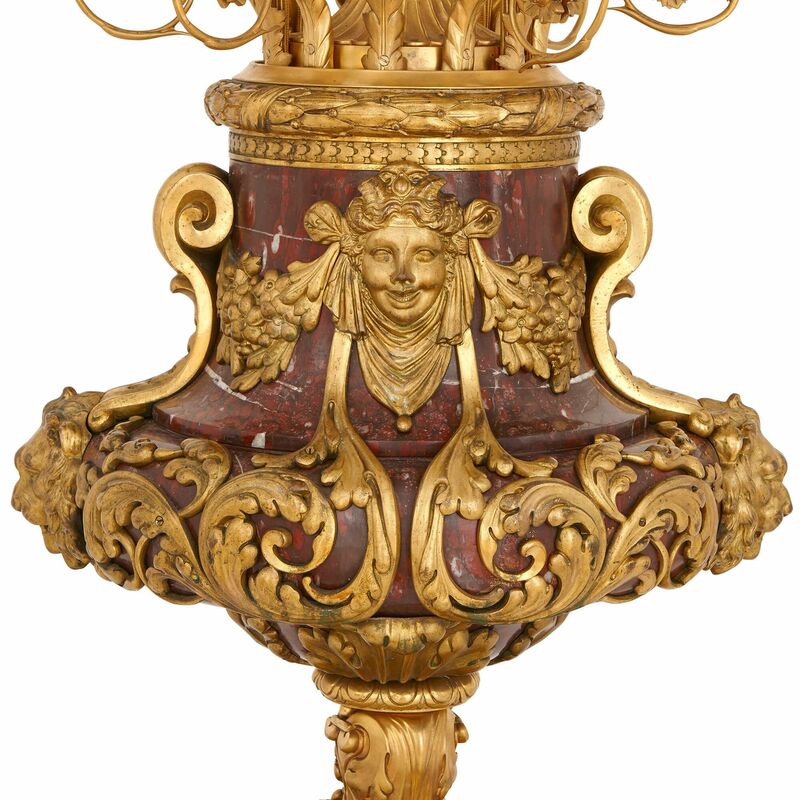 These majestic French candelabra are opulent works in marble and bronze, and each one is bountifully decorated with intricately-cast ormolu mounts. 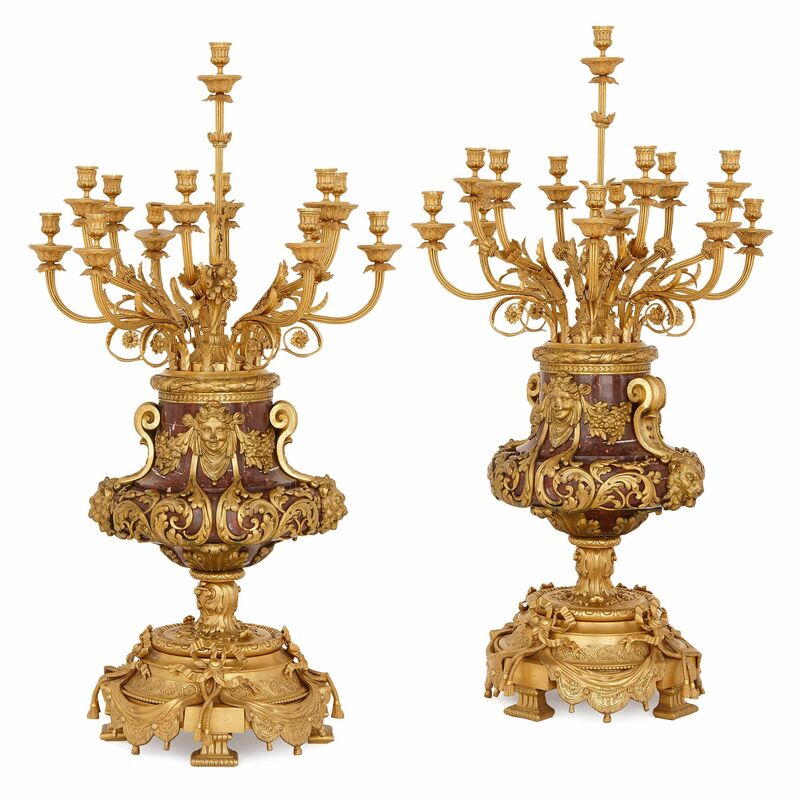 This beautiful pair of twelve-light candelabra will make bold, vivid and eye-catching additions to an interior. Standing at 1 metre and 22 centimetres tall each, these will look particularly splendid either side of a painting or work of art. 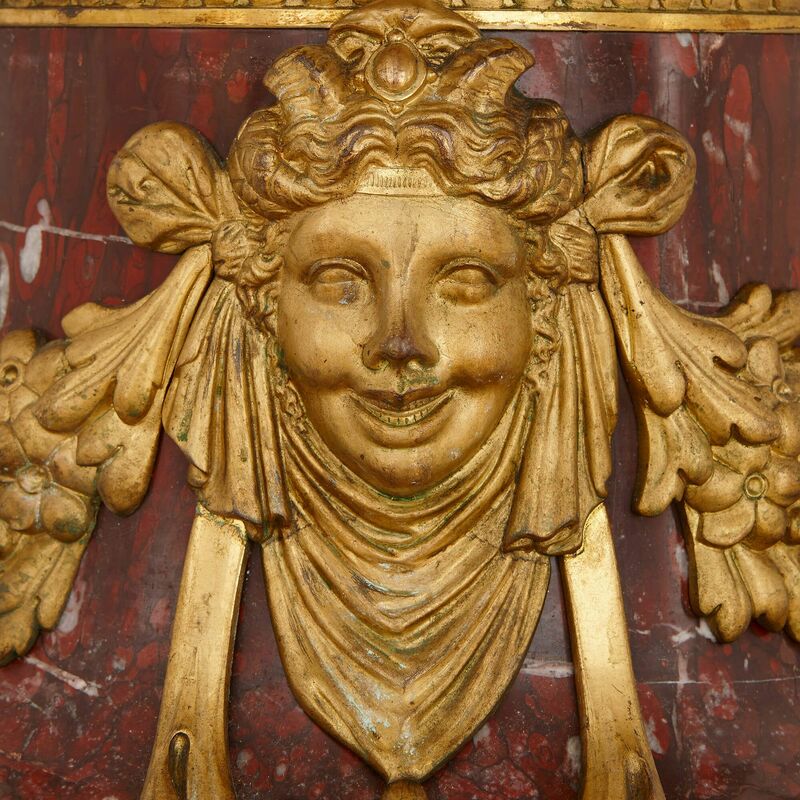 Each one has twelve lights issuing from scrolling ormolu branches decorated with fruit, flowers and foliage. 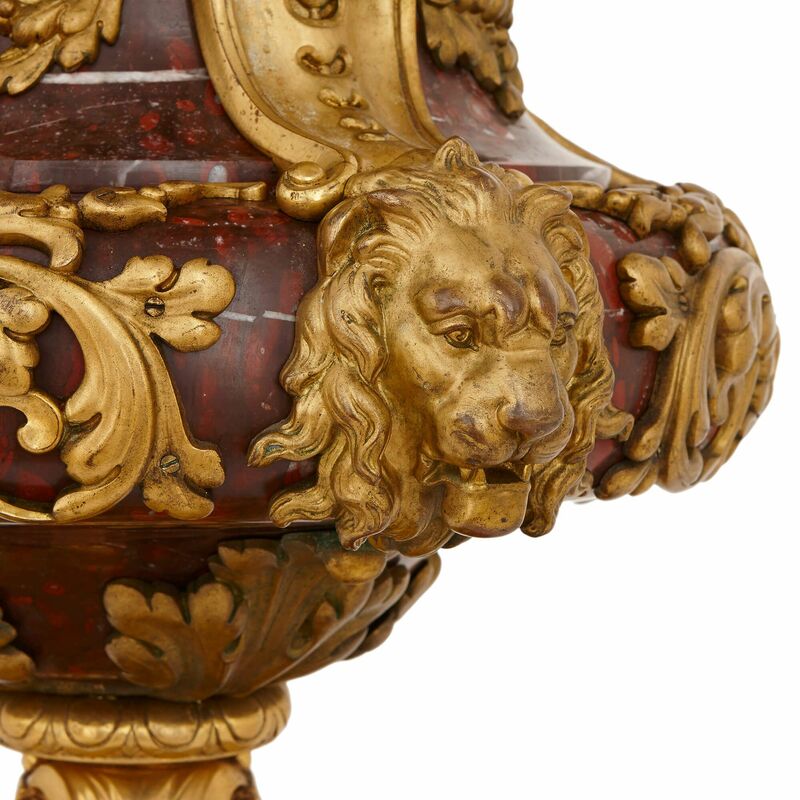 The branches emerge from a central red marble vase which is mounted around its spreading exterior with acanthus leaves, masks, lions' heads, flower and scrolls. 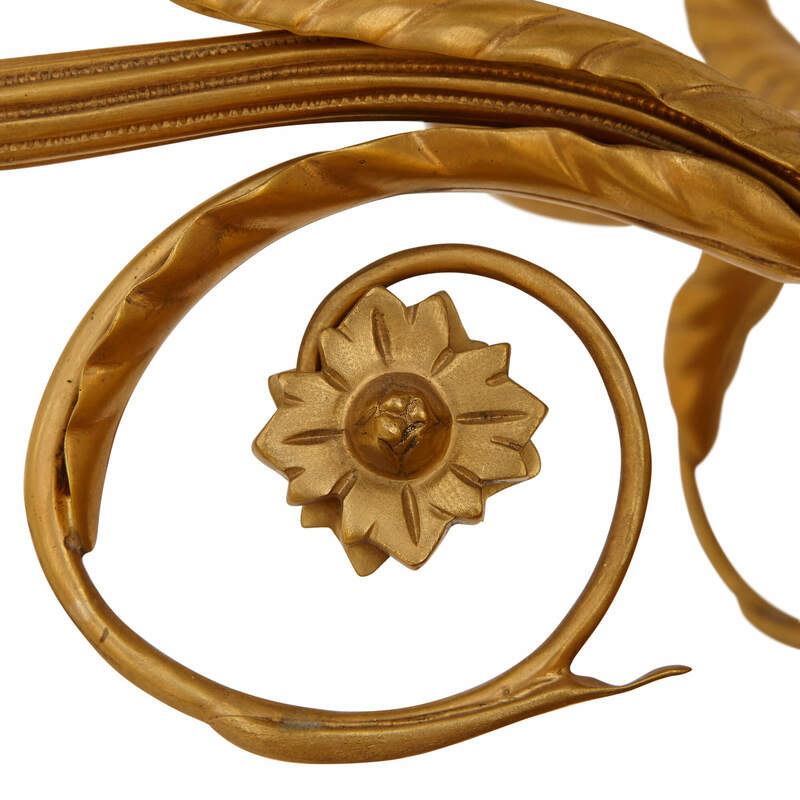 The vase is set on an ormolu base, decorated with further acanthus leaves as well as laurel garlands, ribbons and drapery. 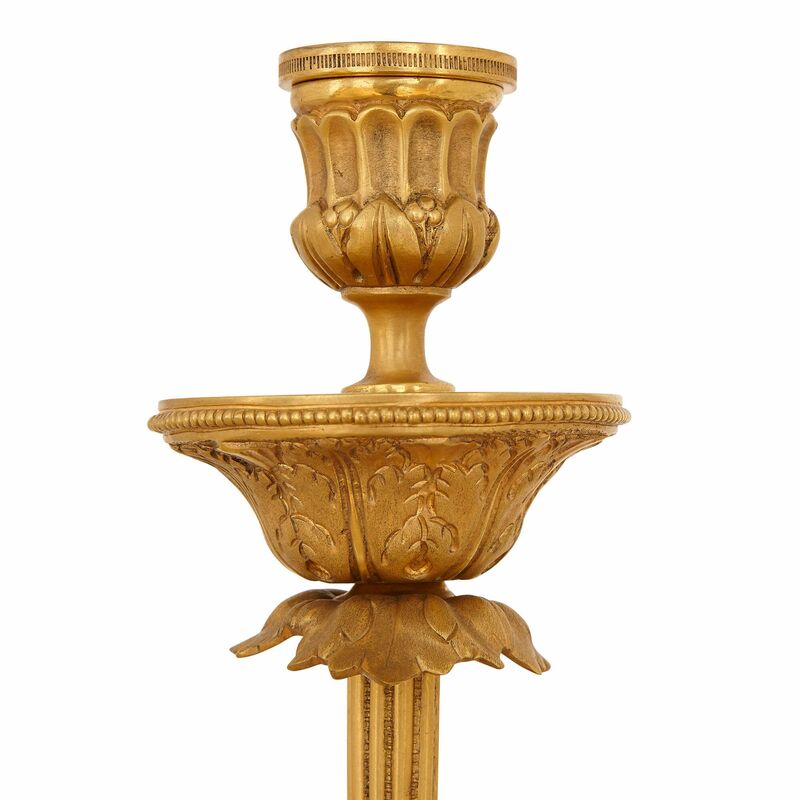 The base is set on four column-form feet.